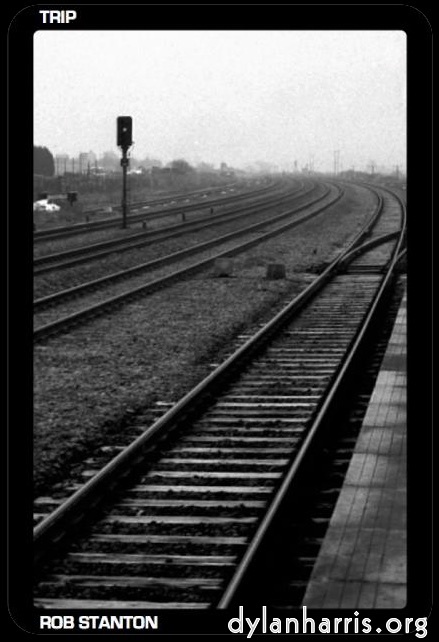 Rob Stanton’s new poetry collection, Trip, which is published by The Knives Forks and Spoons Press in the UK (who also publish me), features one of my old railway photos on the cover. I’m rather chuffed. Congratulations to Rob, of course!